CTET result 2019 will be announced by CBSE with in six months after the commencement of exam. Candidates can check result by entering their roll number in login window. Qualified candidates will secure (>-60%) marks in CTET 2019 result. The paper 1 is for primary stage, class (I to V) and paper 2 is for elementary stage, class (VI to VIII) candidates. If a candidate is appeared for both levels then the candidate has to qualify both paper in order to get a CTET Certificate to teach both level separately. CTET qualified candidate can appear in central government schools, schools under UTs control, private schools, and schools owned & managed by state government or local bodies. CTET certificate will be given to the candidate who will secure (>=60%) marks & will be valid for 7 years from the day of result declaration. Candidate can download CTET result 2019 from official website. A five step process has to be followed to access the result. Click on 'CTET Result' button. Enter roll number & application number. 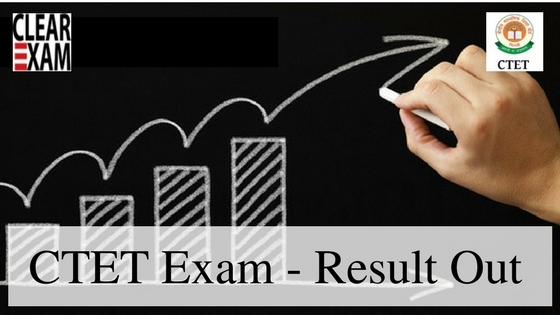 Secure a print out of 'CTET Result' for future reference. OMR sheet is evaluated with extreme care & scrutinized repeatedly to avoid any mistake. No request for re-checking, re-assessment, re-evaluation or scrutiny will be entertained. Candidate must secure (>=60%) for getting a CTET certificate in the respective paper they are appearing. School management can give concession to SC/ST, OBC, differently abled persons etc, in accordance to reservation policy. A CTET certificate is only one of the eligibility criteria for appointment as a teacher. It does not imply for recruitment/employment in any institution, recruitment procedure is solely based on recruiting agency or authority. Cut - off is the minimum qualifying marks to be obtained by candidate. Cut - off is released after the declaration of CTET Result. Candidates, who will score (>= cut off scores) will consider for issuance of CTET Certificate. These are some important things that a candidate should be aware of regarding CTET Exam Result.